Always been interested in OER but never had the time to really sit down and learn about it? This could be your chance, and you don’t have to go anywhere to do it! 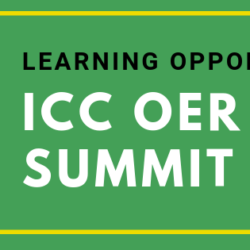 College of DuPage is hosting the Illinois Community Colleges OER Summit at the end of this month. Sound interesting? Read on.